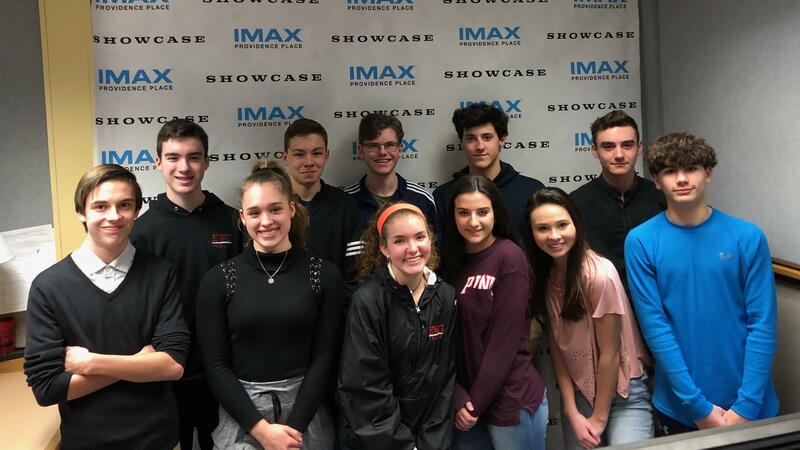 Congratulations to this week’s Showcase Cinemas High School Team of the Week: Exeter West Greenwich Indoor Track Team! The EWG BOYS AND GIRLS indoor track team is one of the youngest and smallest teams in the state – they collectively are 18 members, comprise mostly of Freshmen and Sophomores. This year they donated over 300 pounds of items to the Exeter Animal Shelter, as well as sending half of their team to the State meets.